This brief blog article will focus upon the topic of Paper Shredding Dublin and will share some insight into unacceptable high risk practices with some links to helpful guidance websites to help with the decision making when establishing a document shredding protocol and digital data destruction protocol within your Organisation and households in Ireland. Data Protection and the ethical procedures for the disposal of end of life data is essential for all in today’s ever evolving data world. Hard-Drives, CD’s, Data Cartridges and Paper files are the main methods for experiencing a damaging and painful data breach. Protecting your Physical Data and in turn your Personal Identity is vital for all today and a data destruction Dublin service is the most suitable and compliant method for Organisations operating in Ireland and us the Irish citizens to assert the protection of our information. With the advances in data reconstruction technology, increasing levels of data crime, extreme forces for lower costs in addition to contradicting and mind boggling information, simply looking at an alternative Organisation (Private &/or Public) to mimic their procedures and practices is not an appropriate method to establish your own data procedures and practices for managing sensitive paper documents. As we in Ireland are a member of The European Union we are subject to European Legislation in addition to Irish Data Protection Legislation. This point also raises the level of risk of data protection when looking at other Organisations as there have been many different views upon the legislation and the application of it in our Country. During the Thanks Giving period in The US an extremely serious Data Breach occurred where paper documents containing personal information were found dumped in a recycling centre. These documents were traced back to a hospital which may now be in line to face serious fines and penalties. The affected parties were contacting and apologies were given on behalf of the hospital. In November of 2015 in our own home Country of Ireland we have seen a data breach occur in one of our Hospitals which in turn personal patient records were found in a recycling bin on the street outside the Hospital. I want to highlight these two examples as it is important to note that the protection of personal data is a global issue and it is not to be underestimated. These examples also highlight that Companies in the Dublin Region that wish to establish a Dublin Paper Shredding Service and look for guidance from Organisations either in the Private or Public Sectors may lead to data breaches which in turn may lead to negligence penalty enforcement’s. Independent research from reputable information sources that has the protection of personal sensitive data as their number one concern is the most appropriate method for establishing your data protection procedures. This point is of serious concern for all Organisations and citizens of Ireland to ensure the protection of their personal sensitive paper data. This article is not to negatively market waste operating firms as many of them do an amazing and admirable job at protecting our environment, producing waste fuel for export to incinerators, collecting household waste, running recycling centers, separating and segregating waste materials and selling waste commodities to the recycling industry for maximum revenues not to mention the hundreds of people that are employed through waste operators, they truly are appreciated. When it comes to personal sensitive data and the appropriate disposal of that data there are specialist firms within the market that are subject to additional standards, certifications and best practices which may not be the case for many waste operators who do not have confidential shredding as their primary business case. There is also an industry representative body for these professional specialist firms to ensure industry best practices. If you are specialist data destruction firm (Paper Shredding Firm) you are a Data Processor and recognised as a data processor under legislation. When you are a data processor you are subject to additional legislation from both Ireland and Europe and you are accountable for breaches of the legislation. If you are a waste operator managing waste services you may not be recognised as a data processor but as a materials processor. With this point, if a data breach occurs the Data Processor liability under data protection legislation may not be valid and there may not be accountability in the case of your data breach. The risks when destroying data outweigh the benefits of completing the process in-house. 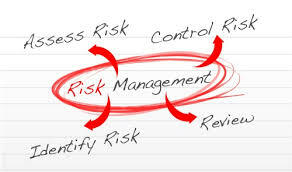 When dealing with risk it is impossible to eliminate the risk however it is possible to minimise the risk levels and with this in mind it is important to look for a professional specialist shredding firms to manage your destruction requirements and ensure compliance to save you from possible data breaches. This entry was posted in Confidential Shredding, Data Destruction, Data Protection, Identity Theft, Off Site Shredding, Onsite Shredding, Paper Shredding and tagged Compliance, Confidential Shredding, Data Protection, EN 15713, Offsite Shredding, Onsite Shredding, paper Shredding, Paper Shredding Dublin, Paper Shredding Ireland, Paper Shredding Leinster by Security in Shredding. Bookmark the permalink.